Oh my. Last night was quite a wild one. I decided that I should just keep truckin’ along with my detox mission, and pull one more cleansing trick from my sleeve. While I was researching this month, I stumbled across a “ginger detox bath”, and recalled my herbal medicine teacher mentioning this one time back in class. The idea is to immerse yourself in a hot bath filled with ginger (fresh or powdered) and some Epsom salts. The ginger makes the bath “hotter” as it comes into contact with your skin. This allows your pores to open, your skin to sweat, providing a clear path for toxins to get out. Simple and effective! And let me tell you…I haven’t felt that hot in a very long time. After about 10 minutes my scalp started dripping and my heartbeat got so strong, I could feel the pulse in my teeth! It was totally wild. I brought a book into the bathroom with me in case I got bored, but all I could do was stare at the ceiling and try to focus on not melting. It was INCREDIBLE! 1. Measure out 1/8 cup ginger, fresh or powdered (powdered goes deeper), and mix with 1 cup Epsom salts. 2. Run a hot bath (as hot as you can handle) and pour the ginger/salt mixture into the tub. 3. While the bath is running, take a dry skin brush (or vegetable brush if you must!) and brush all parts of the body in a circular motion toward the heart. (Skin brushing can be very beneficial because the skin is a primary avenue for detoxification) See full instructions here. 4. Sit in the bath for 20-30 minutes, making sure that you have a very good sweat on (if you don’t, the water isn’t hot enough). I recommend rubbing all areas of your body in clockwise circular motions for a count of 20 in each area while soaking. Rub each breast (great way to ward against cancer) your stomach area, etc. You’ll find that you will get quite uncomfortably “hot and sweaty” so it helps to have some bottle water handy to help flush the toxins out. Do not remain in the tub for more than 30 minutes. 5. When you get out of the bath, go straight to bed and wrap yourself up in blankets, with towels against your skin (DO NOT apply lotions, potions or serums to your skin as you might normally before bed, as this will clog your pores and defeat the purpose of cleansing). You will continue to sweat for about an hour, but you’ll probably pass out before then. Keep water next to the bed in case you wake up in the night thirsty. 6. Upon waking, you may feel slightly “flu-y”, but this is a good sign – it means you are really releasing toxins from your body! Continue to drink lots of water the next day, especially if you are feeling tired or sick. This didn’t happen to me, but I sure was thirsty! I had a great experience with this ginger bath and I would highly recommend it to anyone who loves saunas or steam rooms, but can’t get to the spa every week! This is certainly something I will add to my cleansing repertoire, and maybe even just for kicks when the temperature drops below -15 degrees (more often than I care to experience these days). I hope you’ve taken some of my advice this month, and are welcoming February feeling renewed, refreshed and squeaky clean inside! HA yeah cuz the Huffington post is NEVER wrong. Great post by the way! Very dangerous and like anon said you don’t sweat out toxins. skin is for keeping toxics OUT! Your a very ignorant about detoxification. Sweating is the best way for the body to release toxins. Do some research before you comment. That comment was fir lex not you Sarah. Great post! im going to try this. i need to do a detox for health reasons and am looking for all the tips I can get – this looks like a great option without having to go to the sauna – i hope it works for me. i love the smell of ginger too. One piece of advice I have, is that I read in a book written by Dr Sarah Myhill that after your body sweats the toxins out, the toxins remain on your skin and there is a risk of them being reabsorbed, so its important to wash your skin afterwards. So, perhaps its good to wait for a couple of hours after your bath until the body stops sweating and then get washed in the shower – bit of a process, but just to be on the safe side! I also highly recommend brushing your skin before taking the bath, it increases blood circulation and makes you sweat even more! I’m having a cold right now and this bath feels like it kills all the bacteria :). Thank you, Sarah, for the idea! The 1/2 cup of fresh grated ginger root I put into my second detox bath (the first I used powdered ginger) worked 50x better for me than the powdered ginger I bought from Trader Joe’s. I just thought I would share that little tidbit. Hi! I was wondering if you could do this without epsom salt? Salts (Epsom or otherwise) is what draws out the toxins, soreness, etc. a Think of what salt does to food. Without the salts you’re defeating the purpose. I’m sorry but you do NOT sweat toxins! Our bodies sweat to regulate body temperature. Anything toxic in our body is removed through urine and feces – that’s it. The body takes care of itself. If you don’t want toxins in your body, drink more water and don’t eat unhealthy foods. I’m excited to try this, but hoping I don’t pass out lol. Do you scrub your face as well in the bath? I was a little disappointed in this, maybe my water was not hot enough, but it did not live up to the hype of feeling like I was melting…. in fact my bath was interrupted 25 minutes in by a late night trivia excursion which was made only mildly unpleasant by the sweat, not the buckets I had been expecting…. That is a good idea Miquela! You also want some time and space to just lay and be quiet after the bath (and sweat profusely). Thanks for the reply, Sarah. I think I will give it a go when my husband is here to help with our daughter (he travels constantly for work) because it sounds pretty intense. I am so happy to hear you like the blog! Thank you! As far as I know, this should be fine for you and your nursing baby, but I suppose that also depends on your toxicity level. If you are eating a primarily plant-based, organic diet it should be fine. I might consider otherwise if you are eating processed foods, as this experience is quite detoxifying. You could always pump your breast milk after and discard it, using the one following. It’s up to you! I was just catching up on what you have to say about cleansing, and that this ginger bath sounded great. I have a question, though. I am a nursing mother (my daughter will be one in…eep! 11 days! ), and I was wondering if this bath is safe for us, ie will it affect my milk and thereby my baby? You can absolutely do the ginger bath in the summer – anytime you want to cleanse and detoxify! You MUST use dried, powdered ginger for this however. Fresh ginger will not be absorbed in the same way, muhc like when you make tea. 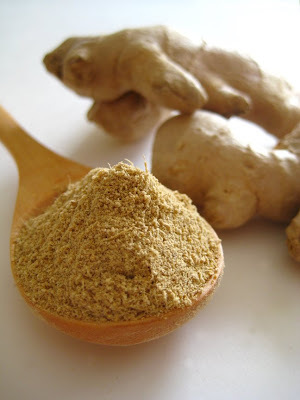 Powdered ginger goes deep into the body, whereas fresh only goes to the surface. Oh my gosh! 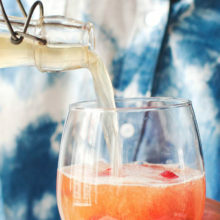 This sounds amazing.. I’m a little nervous to try it, maybe not a good idea in the heat of the summer? Would fresh ginger have the same effect do you think? So interesting!